Azawakh is an ancient sighthound breed that has lived for thousands of years with the cattle breeding nomads of the south Sahara in Africa. His job has been to protect the camp, the people in the camp, and the cattle from predators and trespassers. Also known as the Sahel hound, he howls and growls to warn of intruders and, should they continue into the camp, he will charge and can be aggressive. The Azawakh stands 23.5 to 29 inches tall and weighs between 35 and 55 pounds. His head is long and thin and his muzzle even thinner. His eyes are almond-shaped and dark, and his ears are pendant. He is very lean; there is nothing extra on his body. He stands square, with his body as long as it is tall. His chest is deep, with room for a large heart and lungs. His muscles are evident under the skin. His coat is very short and thin. Grooming the Azawakh breed is very easy. The coat is very short and thin and may be brushed with a soft bristled brush once a week. 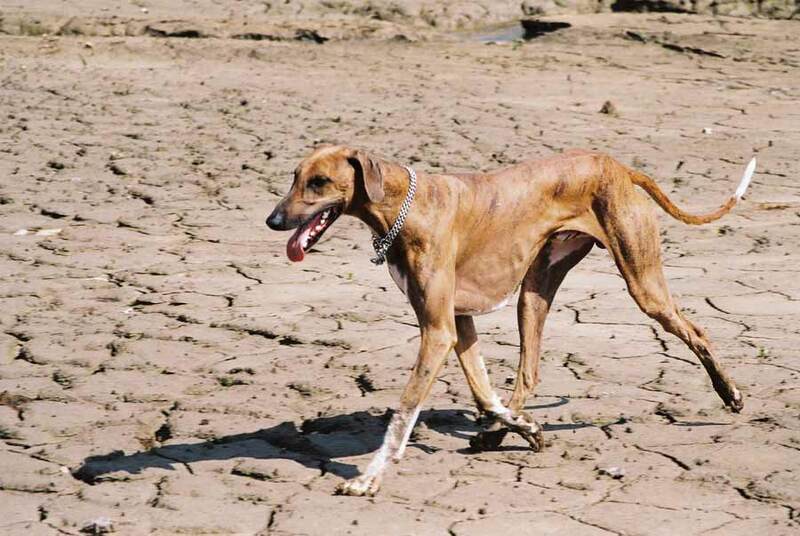 The Azawakh is a sighthound. His long legs, deep chest, and agile body are made so he can run with the wind. Although he can walk on a leash, he prefers to run and will need a daily run in a safely fenced yard. In his natural state, the Azawakh learns what to do from the other dogs in camp. Obedience training is unnatural to him. However, when kept as a companion, even the Azawakh must learn some rules. Early socialization and training can help him learn to walk on a leash, to understand that all people outside his family are not necessarily intruders, and to abide by some household rules. The Azawakh has often been called more catlike than doglike. He will allow petting when he’s ready to be petted, and although he may never come the first time you call him, you are still vitally important to him. He can be good with children as long as they treat him with respect, and can be trusted with the family cat only if raised with her. The breed can suffer from heart problems and hip dysplasia. Note: Upload only Azawakh picture or your picture with Azawakh below - spammer's ip may be blocked.